While there have been many claims that Facebook is tied to the CIA or 'deep state' with that little 'coincidence' seen as another 'tell', what can't be argued is that in April of 2016, the former head of DARPA, Regina Dugan, began working for Facebook, a position she held until October of 2017. Regina Dugan, the former director of Defense Advanced Research Projects Agency (DARPA), joined Facebook in 2016 to take charge of Building 8, though the social media giant has revealed few details about the research and development department. At its annual developer conference earlier this year, Dugan unveiled Building 8’s mind-reading project called Silent Voice First. She explained the goal is to use optical imaging to scan a person’s brain and understand the words they are silently speaking to themselves. “What if you could type directly from your brain?” Dugan asked during her F8 keynote presentation. Telepathic typing, Dugan continued, is only the first part of the division’s plans for the brain-computer interface technology. Eventually, people could use the mind-reading technology to control computers and experiences in virtual reality and augmented reality. It is not clear what stage the technology is in its development. In the TV show 'Person of Interest', a crime fighting team is informed of 'future crimes' by an AI 'machine' which was created for the government and watches over everything via a massive system of security cameras, traffic cameras, ATM cameras, laptop computer cameras, and any every other kind of camera you can think of in a massive, all-connected web. Also using bank transactions, credit card transactions, emails and any other kind of electronic communication to build a data base of everybody with the 'machine' picking out perpetrators or victims of murders before 'the event' even happens, this new story over at Digital Trends reports "crime predicting AI isn't science fiction, it's about to be rolled out in India". 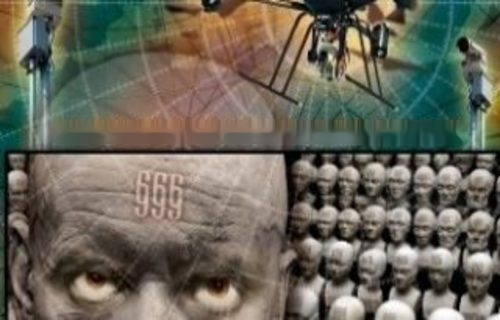 As the Daily Mail recently reported, China has already used AI to pick out a suspect in a 60,000 person crowd and arrest him using facial recognition and as we reported on ANP back on March 30th, China had already rolled out 'virtual prisons' for dissidents with AI capable of hypothetically scanning 3 billion faces per second notifying authorities if 'targeted' people drifted more than 1,000 feet away from their homes or places of employment. Artificial intelligence programs promise to do everything, from predicting the weather to piloting autonomous cars. Now AI is being applied to video surveillance systems, promising to thwart criminal activity not by detecting crimes in progress but by identifying a crime–before it happens. The goal is to prevent violence such as sexual assaults, but could such admirable intentions turn into Minority Report-style pre-crime nightmares? Such a possibility may seem like a plot line from an episode of Black Mirror, but it’s no longer the stuff of science fiction. Cortica, an Israeli company with deep roots in security and AI research, recently formed a partnership in India with Best Group to analyze the terabytes of data streaming from CCTV cameras in public areas. One of the goals is to improve safety in public places, such as city streets, bus stops, and train stations. Back in February 2012, the governor of Utah, Gary R. Herbert, revealed that the NSA Data Center in his state would be the very first computer facility in the entire world to "gather and house a yottabyte". 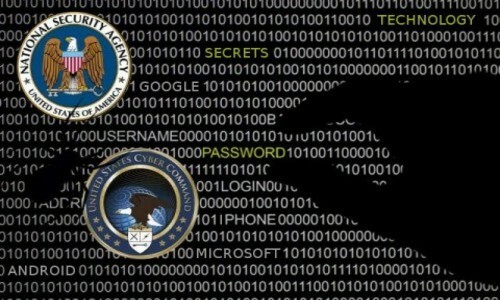 While NSA states that their actual data capacity must remain secret as it is pertinent to national security, the building of the data center in Utah was brought up by Edward Snowden who claimed the 'MDR', Massive Data Repository, would be another government violation of the Constitutional rights of Americans. While Wired reported back in 2012 that the Utah Data Center would be the biggest spy hub in the entire world, it's long been warned by civil libertarians that every piece of online communications is being funneled into their massive data base, all emails, photographs, websites visited, tv and radio broadcasts, phone calls made and as we've seen recently with both Facebook and Google tracking people via their ever present cell phones, just like the 'lifelog' project was seeking to do, virtually tracking every step that people take. With Zuckerberg at Facebook also recently announcing that his website tracks NON-users and their internet activities as well as that of users, has DARPA's 'lifelog' project come to fruition despite the objections of civil libertarians, with America all across the country handing over personal information voluntarily to facebook while the NSA's MDR compiles everything that the masses send to facebook and millions of other websites, data endlessly examined and picked over by AI seeking to establish patterns, trying to predict what you and I and everybody else in America will be doing next? One of the main threats to privacy comes from advertisers, who want to track everything consumers do on the web and scrape their online accounts for personal information. It shouldn't be surprising, therefore, to learn that the CIA and the worlds largest ad agency network, WPP (WPPGY), have been in bed together on a social media data-mining venture since at least January 2009. WPP currently claims to own the world's largest database of unique individual profiles -- including demographic, financial, purchase and geographic histories. WPP's Visible Technologies unit took an investment from In-Q-Tel in fall of 2009. 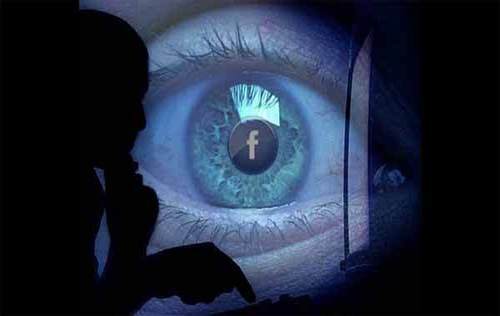 Visible Technologies develops tools that can scan social media networks such as Twitter and Facebook. WPP also funded Omniture, a marketing ROI agency, with $25 million in January 2009. Omniture's Visual Sciences unit has also taken In-Q-Tel money. The CIA re-upped with Visible Technologies as part of another $6 million funding round in March 2011. As we hear from Steve Quayle in the first video below in a must-hear interview with David Knight from Infowars in a discussion focused upon both Facebook and transhumanism among other topics, AI is the most important issue of our day with some actually looking at AI as the ascension to (false) 'God-hood', actually worshipping it, while experts long in the field warn of its potential to bring about the destruction of the human race as we reach 'technological singularity'. Also warning us that we're now witnessing the acceleration of all things, something that we personally have felt ourselves, Steve and David also discuss how 'vanity' has led hundreds of millions of Americans to voluntarily give over personal and private information to a website that has been violating the privacy of its users and feeding this information into the massive web that's been established, absorbing everything like 'the machine' in Person of Interest, able to access it again 10 years later for who knows what reason. Also discussing Steve's books "Genetic Armageddon: Today's Technology Tomorrow's Monsters" and "Xenogenesis: Changing Men Into Monsters", Steve warns that no matter where we think we're now at 'technologically', what we now know is way far behind the actual technologies held by the 'gatekeepers' with 'a net' being cast across our entire planet Earth. 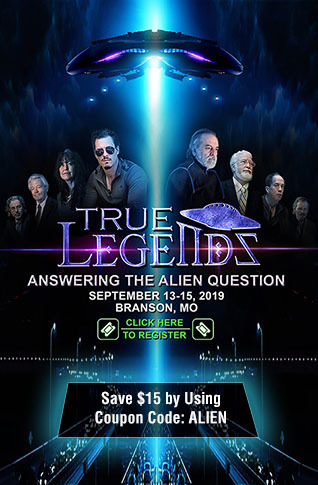 They also discuss the September 2018 "True Legends Conference" in which David Knight will be one of the featured speakers in which they will focus upon transhumanism among other topics. Subsequent authors have echoed this viewpoint. I. J. Good's "intelligence explosion" model predicts that a future superintelligence will trigger a singularity. Emeritus professor of computer science at San Diego State University and science fiction author Vernor Vinge said in his 1993 essay The Coming Technological Singularity that this would signal the end of the human era, as the new superintelligence would continue to upgrade itself and would advance technologically at an incomprehensible rate. 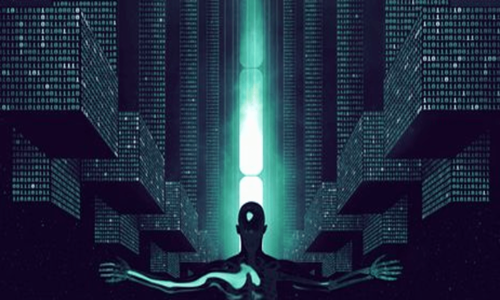 Four polls conducted in 2012 and 2013 suggested that the median estimate among experts for when artificial general intelligence (AGI) would arrive was 2040 to 2050, depending on the poll. In the 2010s public figures such as Stephen Hawking and Elon Musk expressed concern that full artificial intelligence could result in human extinction. So what is a prepper to do to avoid the technocracy that is growing here in America and across our planet every day? As Steve tells us, at some point we may need to ditch all computers, phones and electronics if we haven't done so already and if this technocratic police state that is being establish across America and the world continues to grow to complete totalitarianism as some suggest, as Steve mentioned in an SQnote while linking to this Daily Mail story, at some point people may need to physically manipulate their facial features via a mask to hide from the 'machine' that seeks to destroy us. With AI also heavily involved in 'voice recognition', Steve suggests preppers may have to one day get a small voice changing device which will allow them to conceal their 'voice print' from the ever present 'machine', also having to abandon all vocal electronical communications except via codes and scramblers. He also warns we may need to stay out of any 4G/5G frequency range, especially with the ability for such ultra-high frequencies to be weaponized. Whether or not you follow or believe 'QAnon', as we hear in this final video below from our videographer beginning at approx. 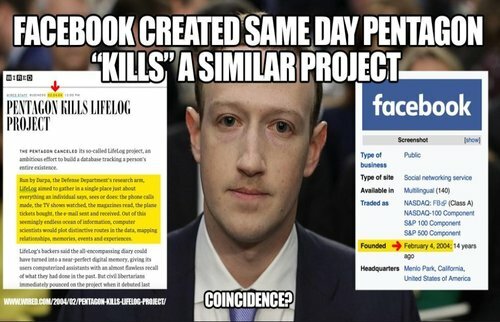 the 21 minute mark, 'Q' recently mentioned the unusual 'coincidence' of DARPA's 'Life Log' project being shut down at the same time that Zuckerberg launched his 'slimebook'. Just a coincidence? We thank 'Prepper Girl' for 'accidentally' posting the video below in this ANP story comment section.